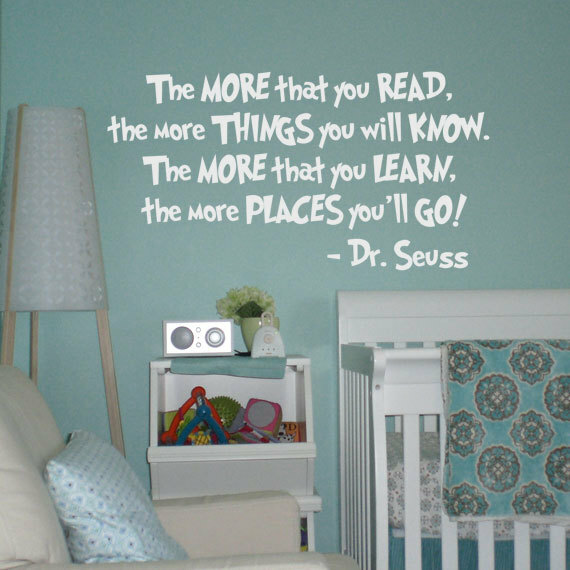 This Dr Seuss quote vinyl wall decal will encourage reading and learning in general among your little ones. Put it up in the nursery, the playroom, or in their bedroom to inspire them to read, to learn, and to explore. 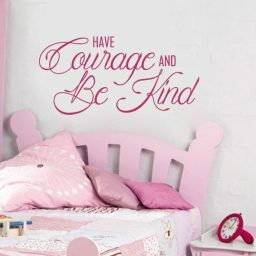 This quote is also popular for preschools, daycare centers, kindergarten, and other places where young kids tend to hang out. 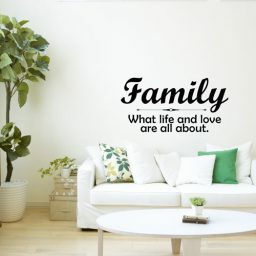 This wall decor is available in several different colors and sizes. Choose the color and size that best meets your home decor needs. 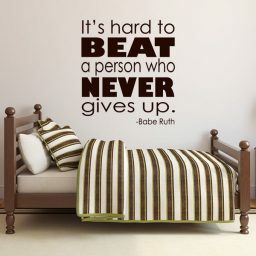 We’ll make it and get it on its way to you within one business day. Dr. Seuss inspired young children everywhere to start reading and keep reading. 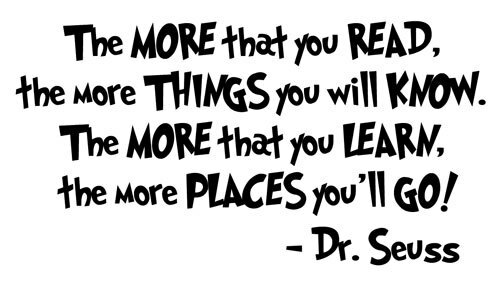 He added adventure and fun in his books which helped open the world of reading for many children. 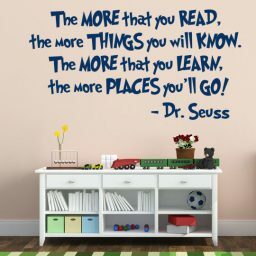 This vinyl quote would be a great addition in a school, preschool, home, playroom, children’s room, or office; anywhere you would like to encourage reading and learning. This vinyl sticker reads, “The More That You Read, The More Things You Will Know. 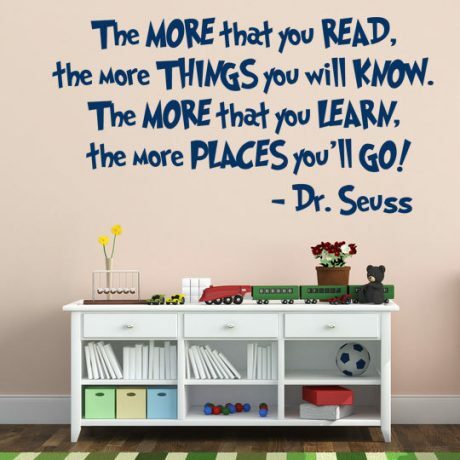 The More That You Learn, The More Places You’ll Go! – Dr. Seuss”. It is written in Dr. Seuss’ classic font. Order your vinyl today and inspire the next generation of readers. 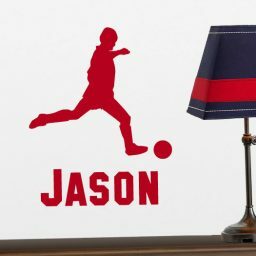 Our decals are made of high quality matte finish vinyl for a beautiful look that lasts. 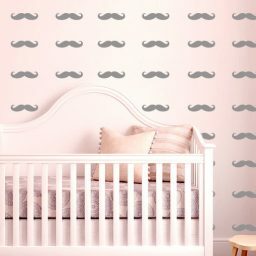 Our vinyl designs are simple to apply, last for years, and unlike wall paper, they can be easily removed when you decide to redecorate.